Navy Wife Life: Cunning Don'tcha Think? This hat became famous in an episode titled 'The Message' in the series 'Firefly'. If you haven't seen it then this post may not make any sense to you. Go watch an episode or two. I'll wait. Did you watch it? Was it not awesome? This hat, worn by Jayne Cobb (Adam Baldwin) became a cult item that Firefly Fanatics had to have. Now normally I'm not one do such things, but my sweet baboo saw this and wanted it. There are many sites out their dedicated to just the hat. You can get a pattern to knit it yourself. But I'm not that talented. I don't knit. 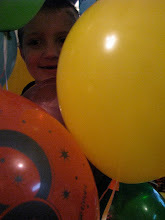 After much searching, my sweet baboo found a site through one of the forums that he frequents. I emailed the woman to place my order. That was December 8, 2008. She warned me that there was a wait, so I had her put my name on the list. 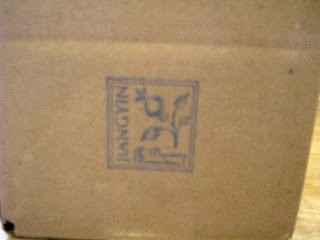 And today I received a package! So it took a little over a month, but she had warned me about it. If you're a fan of the show and just dying to have one of these lovely hats the site is called Wear With Style. If you're wondering the reason for her doing this then wonder no more. If I need more, I will go to her. What makes everything 'shiny' is the details. These last four pictures are the outside of the box. It's a bit hard to see what some of them say, but I'll help. They are stamps of all the places the box would have gone through like on the show. I can be a bit of a Firefly geek, so I'll help. And if I get something wrong, let me know. Of course then you'll be admitting you're a bigger geek. So really think about that before calling me out. The first photo has two stamps. 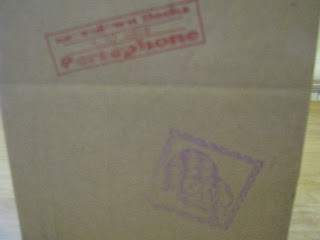 The red stamp reads Eavesdown Docks 3.10.2518 Persephone. This is in Serenity Part 1 & 2. Simon brought River here after he have her rescued. And you meet everyone. It was not aired as the first episode even though it was meant to be. FOX is so stupid. It was also mentioned in Shindig. Which was another very good episode. Mal dances. The purple stamp reads Santo Goose Juggling Tourney Champ 2515. Santo was mentioned in 'Our Mrs. Reynolds'. Wash mentions it to Zoe when they get into a bit of a tift. She stormed off. Also mentioned in Shindig. The second photo only has one stamp. It's blue and reads JIANGYIN Prairie Paradise. This is from Safe. Simon is kidnapped and River is called a witch. The third photo has two stamps as well. The green one is Capital City Osiris. Simon and River were both born there. It is mentioned in many episodes. It is mentioned in Serenity and Safe. 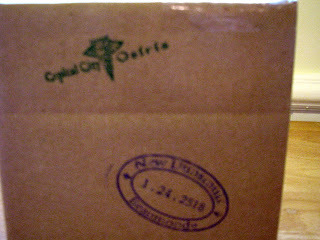 The second stamp, which is blue, reads New Dunsmuir 1.24.2518 Beaumonde. This is a place in 'Our Mrs. Reynolds'. The fourth and final photo has only one stamp. 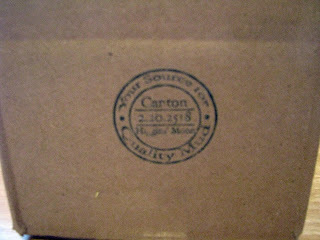 It says Canton 2.20.2518, Your Source for Quality Mud. This is from the episode called Jaynestown. Very good. A bit of singing in it. Which made me laugh. I have to admit that I got help from another Firefly site. Hey that's what the resources are for. I won't open this until my sweetie gets home. Which is soon. The creator says that the hat comes in a box packed in straw with a handwritten note, the same text as Jayne's mom wrote to him. I am such a geek. the stamps are just too cool! you dont see care go into things like that anymore!